This “Mommy, Daddy and ME!” class is a toddler’s dance class designed to give you and your toddler a creative, fun way to dance together in the studio and at home. This class is a wonderful introduction to creative movement, improvisation, and rhythm. These wee ones will have a safe, fun, and exciting introduction to dance, and will develop basic comprehension of movement choreographed to music. This class helps develop fine and gross motor skills that are so important and also creates in your child a curiosity and excitement for dance. 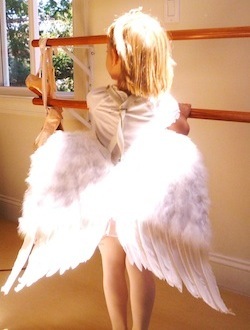 Ballet Dress Code for Children’s Studio Classes. There is a non-refundable annual administrative fee for new and continuing families—$25 for the 1st student and $25 for any additional student with a family maximum of $50.